Wonder how much theming those concrete buildings will receive this year before opening. Does look quite nice though; looking forward to riding! When's it supposed to be opening? It will be a cracking ride, because White Lightning is. Perfect for this park, great bit of thrill and a tonne of fun! C'mon UK, some one, anyone, build us a new woodie! I'd like to hitchhike a ride to Plopsaland please (Disney music will or won't be provided). Plopsaland are planning to build an onsite hotel, which will open Christmas 2017. Looks fab, judging from the concept art. Definitely need to visit here in the near future. Certainly looks impressive, and given the quality of the park overall, I'd be confident of the concept art being a fair reflection of the final result. Opening in 18 months seems a little ambitious though? After all, that's pretty much the same time it'll have taken them to build and theme Heidiland. Visited the park today; Heidi still isn't open. Fences are being put around the ride to dull the noise, as it's currently too loud for the neighbours liking. Temporary queue line and everything else is ready to go though. The Princessa castle looks phenomenal in person, but it's completely ridiculous for a set of teacups and a restaurant (no walk through in sight). Hopefully some other places around the park receive attention soon. As of 2 days ago, the park no longer has a valid environmental permit. The park remains open, but by the park's director's own admission, they are open against the law. As such, the park could face a large fine or even closure, at least until they get a valid permit. And with some lawyers encouraging locals to make complaints about Plopsaland, things are looking a bit worrying for the park at the moment. From what I can tell, Heidi is now ready to open, but they don't want to risk it in case it agitates locals. Plopsaland are also looking into taking legal action against the company they hired to look after all their environmental issues. Or they could relocate to Camelot's old site even. On a serious note, this sounds very worrying for the park. The things they've done recently look superb and it would be a massive shame if they were forced to shut down. Fingers crossed this works out for them as this situation could severely dent or murder the future of what looked to be an upcoming park. I never doubted for a moment that forced closure of a theme park would actually be happening. However in a world post Blackfish and things, any thing could happen. Hopeful chances are this park will be able renew its environmental licence in due time. If the situation relates to the park getting a fine from the authority, the park could surely claim legal action against those who were supposed to validate the licence (as Baron said). This then just leaves the problem with the woodie. Depending how well the outcome is, how will they reduce noise levels considering original testing was too loud? High fences, sound tunnels, specific materials to quieten the roar, preventing guests from screaming? Surely not. Safe to say this is sort of a Plopsa style situation to what happened at Paultons 6/7 years ago. Hopefully they've got this. 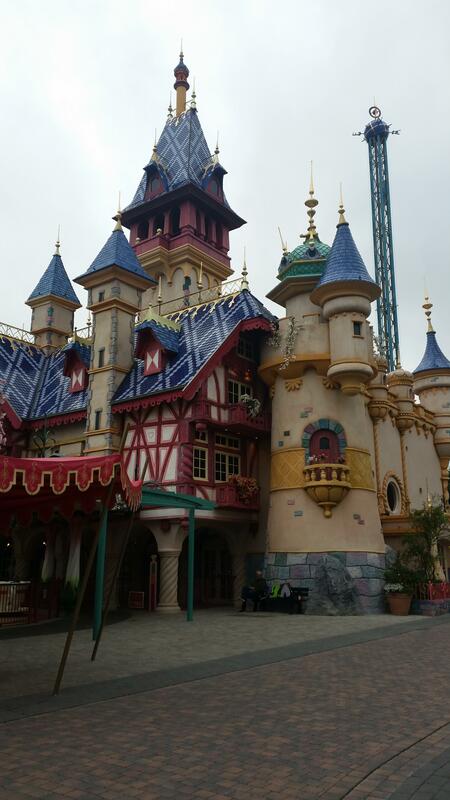 Phantasialand is still open and they've gotta be the most hated park by locals. Worth mentioning now that Plopsa have removed all reference to Heidi on their website. A new permit will take a few weeks to sort out, so I imagine Heidi will reappear then. Though hopefully this will be sorted. I do wonder whether Heidi will initially now be opening in 2017 instead as by the time the permit situation is sorted the high summer season will be over. safe to say I can see future developments such as the hotel pushed back a year or so, if they can even still happen.